Question: What Are the Health Benefits of Chia Seeds? I didn't really think that much about chia seed (beyond visions of Chia Pets, which used chia seeds!) until I read the book "Born to Run" by Christopher McDougall. In the book, a tribe of super-runners in Mexico eat lots of chia seeds. It got me thinking about chia seeds. It got me thinking about the possible health benefits of chia seeds. Answer: Chia is a plant which, like flax seed, has a great deal of healthy omega-3 fatty acid in it (5 grams in 2 tablespoons). This is a good thing. Omega-3s are known to reduce inflammation flax seed, you don't have to grind chia seeds in order for your body to use them, and chia seed does not spoil quickly, making it much more convenient than flax seed. In the book, McDougall talks about how the tribe would put the chia seeds in water and they would create a gel for drinking. This is because chia seeds are hydrophyllic - that hold around 10 times their weight in water. For athletes, this is a good thing, helping hydration during exercise. This also happens in your stomach (even if you eat the seeds raw) and some believe that the gel coats the stomach and restricts the absorption of calories, making chia a possible diet aid. Two tablespoons of Chia seeds also have a respectable amount of antioxidants, fiber (7 grams), protein (4 grams) and calcium (205 milligrams). Read more: Which are healthier, white chia seeds, or black? What I like about the claims about the health benefits of chia is that they are rooted in a verifiable fact: Chia has a lot of really great nutrients. That is pretty much good enough for me to understand why chia seeds might belong in your anti-aging diet. What I can't figure out is why no one has really heard of chia. 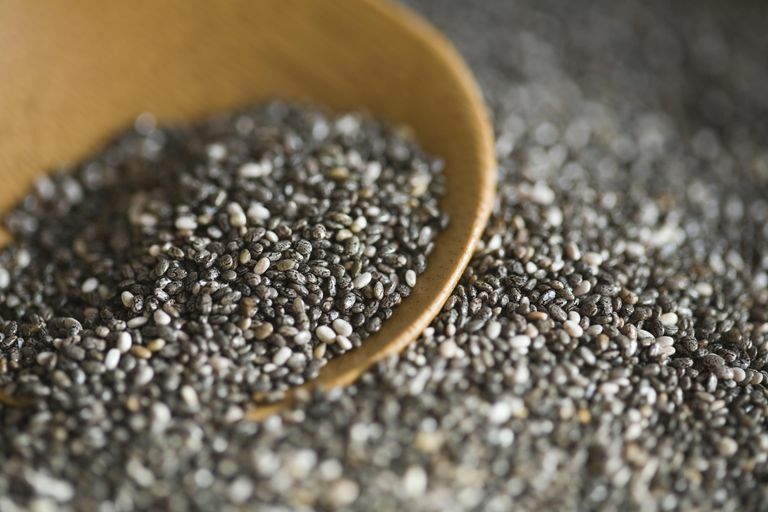 Sure, you can find chia seeds in health food stores, but flax seeds are much more popular, have less omega-3s and are inconvenient (requiring grinding). Perhaps because of the seeds strange connection to Chia Pets? I'm not sure, but I will be giving chia seeds a try by sprinkling on salads, mixing them in with yogurt and (when I am feeling brave) putting them in water, waiting 30 minutes and trying some "chia Jell-o." How do I grind chia seeds?